Rapid prototyping is a well defined process of developing software wherein physical objects are automatically constructed by means of SFF or solid freeform fabrication. In the process of rapid prototyping, a prototype or working model can be constructed quickly, and tested for its functionality, performance and output. The new features or ideas can be illustrated well in the prototype and early user feedback can be gathered with regards to the product. There are numerous advantages of rapid prototyping. The process is begun by using CAD, or computer aided design, or some other animation modeling software program to create a virtual design. This design will serve as the basis for the creation of the prototype or the model. This image is just the starting point but it is extremely necessary. The virtual image is used and rapid prototyping begins the process by applying thin layers of sheet material, powder, or liquid to the cross sections. This process is repeated until the model takes form and the protocol is complete. The cross sections of the design will be fused together so they can complete the project. Once complete, the two models should appear to be almost identical. Rapid prototyping was given its name because it allows the user to finish their model or prototype very quickly as opposed to traditional methods. To create one manually you would spend several hours or even several days to finish one item. If there are complexities involved in the model, it could take a large amount of time to get to the finished product if you were to do it manually. Rapid prototyping allows the user to finish their product within only a few hours or less. It can take longer if the project is large or depending on the type of machine that is used for the project but it will be much quicker than doing it manually. The number of models that you want to create is another thing that will decide how long it will take to finish the project. Sometimes it is necessary to use a solid freeform fabrication technique. This process makes use of two materials. One material will be used to create the prototype or model and the other will be used to support the model or prototype during creation. The material that is used to support it will be eliminated from the finished product with water, some other solvent, or with heat once the final product is complete. If your intention is to mass produce an item on a large scale then it can be less expensive to use injection moulding. If you will be creating a limited number of items, it is much more cost effective to use the additive fabrication. According to experts, rapid prototyping is only the beginning. They believe that we will be using rapid manufacturing as for much larger projects as technology continues to advance. When companies are able to incorporate rapid prototyping into their process they will be setting themselves up for success. When technology takes rapid prototyping to the next level, they will be well prepared to move into the next realm of progress. Jasonmould is China profesional Plastic Injection MoldingManufacturer, die casting mould, plastic blow moulding, rotational moulding, medical plastic injection molding, two shot plastic injection molding, insert molding, overmoulding, metal injection molding, micro injection moulding, powder injection moulding, ceramic injection moulding, liquid injection moulding, husky injection moulding, household mold, casting mould, die mold tool, custom moulds, china moulds, rapid prototyping tooling, plastic prototyping tooling, punch press tooling, die and tooling for mobile/ cell phone parts, automotive parts, vacuum cleaners, rechargeable tools, telephones, copiers, computers, multimedia speakers, and many other electronic products and household appliances. And also a plastic product manufacturer- plastic parts, plastic water tank, plastic balls, plastic containers, plastic buckle, plastic anchor, plastic hanger, plastic spoon, plastic pipe fitting, plastic tumble, plastic tableware, plastic cups, plastic bottles, plastic tray, plastic cosmetic container, plastic case, plastic food container, plastic chairs, plastic caps, plastic cap closure, plastic tubes, plastic water pipes, plastic knobs, plastic tubing, plastic utility boxes, plastic racks and so on. 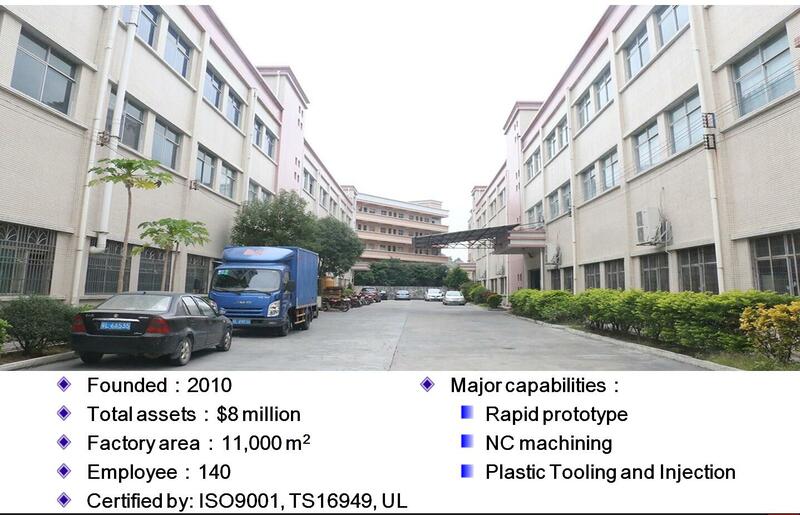 JasonMould Industrial Company Limited is a professional china plastic injection molding company for 3D Printing Rapid Prototyping Service, precision CNC milling service and custom CNC machining services, custom plastic injection molding or moulding company with mould and dies development and manufacturing. With the numerical control process technology of CNC machining center, it can precisely process on materials of ABS or PMMA to produce transparent rapid prototyping prototypes with high intensity. How to get injection mold quotation from mold maker? Although there are countless creative people with great creativity in this world, sometimes they just do not have the necessary knowledge to turn the creative ideas into reality. The PMMA material is also known as plexiglass, which is one of the materials in fabricating prototype.